Bill was born in Austin, Texas, and raised in Bryan/College Station, Texas. His father, Doug Barkley was President of First National Bank of Bryan, and instilled the value of money and conservative financial planning to Bill at an early age. Bill attended and Graduated from Baylor University in 1990 with Bachelors of Business Administration majoring in Marketing. After graduating from Baylor, Bill was hired by John M. Hamilton of John M. Hamilton, Inc. as an intern commercial real estate appraiser. Mr. Hamilton was an inspirational and invaluable mentor providing the education and training for evaluating real estate and taught Bill how to utilize each approach and technique to derive an impartial real estate valuation. Most importantly Mr. Hamilton instilled in Bill integrity and professional ethics which Bill adopted as his core values. After marrying Mandy Barkley, a classmate since 5th grade, they moved to Rockport, Texas where Bill began his career as a Realtor. Bill was hired by Jerre Ledbetter, Owner/Broker of Ledbetter’s Key Allegro Sales in Rockport, Texas. Personally trained by Mr.Ledbetter, Bill learned the overwhelming power of customer service and the importance of two mantras. The first is to take care of your client and their best interest, diligently complete the transaction and the financial reward will follow. The second, once your client always your client because the relationship is not over when the sale closes. Bill regards Jerre Ledbetter as one of the finest men and real estate mentors he has ever had the pleasure to know and work for. As an Associate Broker, Director of Marketing and Rental Manager of Key Allegro Sales, Inc., Bill was approached by the new owners of Key Allegro Real Estate Company to serve as President. Bill accepted the position, and with the help of an exceptional staff, team of Realtors and strong ownership led the company to the top of the market in listed and closed sales. During his tenure, Bill met another great influence and mentor, Joe Bruce Hancock. Mr. Hancock instructed Bill in personnel management procedures which maximized employee production while creating a joyful work environment. Additionally, Joe Bruce mentored Bill in the art of the negotiation. As their family grew to plus three, the Barkley’s returned to their home town of Bryan/College Station, Texas to allow their children the opportunity to be around their grandparents. At this point in 2008, River Valley Real Estate Company was created and opened. In 2011, a client of Bills from Key Allegro requested Bill to serve as an Officer for Housing 1 Source, LLC. Bill served as the Corporate Broker. He designed and established a unique in house brokerage catering to the special needs of the PCSing military service men and women for the all-inclusive military relocation service company in San Antonio, Texas. 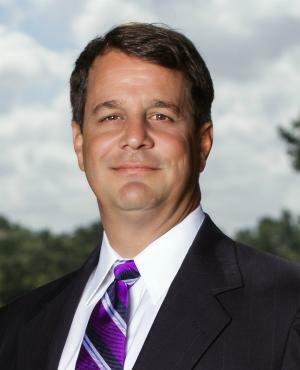 After Bill accepted the position in San Antonio, he had decided to scale down River Valley Real Estate Company to allow for the new opportunity and move. While at Housing 1 Source, Bill learned that he earnestly enjoyed mentoring to those interested in the real estate profession. While he loved serving the military as a part of Housing 1 Source, LLC, the desire to establish a prominent real estate firm of his own and pass along the values and skills learned was overwhelming. In 2013 Bill decided to relocate River Valley Real Estate Company to San Antonio, and has established the new office at 19202 Huebner Road Suite 100, San Antonio, Texas 78258. Connect with Bill on Facebook. See what Bill has been up to on Realtor.com.